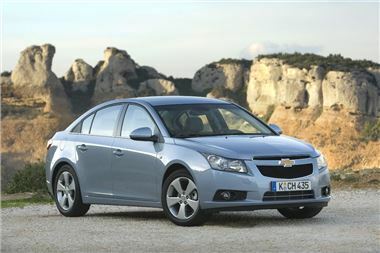 Chevrolet has launched a new offer that replaces the government-backed scrappage scheme. The new ‘Switch and Save' promotion, which runs until June 30th, will see customers offered at least £2,000 for their old cars, if the vehicle is aged between six and 10 years old. Available on all Chevrolet models except Spark and Matiz, including the five-star Euro NCAP Cruze family saloon and the prestigious Captiva SUV, the offer is available to anyone who has owned their car since before January 1st, 2010. "We want to show our customers that even now the scrappage scheme has ended, Chevrolet cars still offer enormous value for money," said Chevrolet UK Managing Director, Mark Terry. "Indeed, many of them realised this even without the scrappage scheme as an incentive, and with Switch and Save we can reward those who may not have been able to take advantage of scrappage because their old car wasn't old enough."